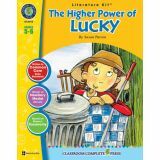 Provides students with an engaging way to practice mechanics and usage of grade-level language arts skills. The reproducible format and additional teacher resources give you everything you need to help students master and retain basic skills. 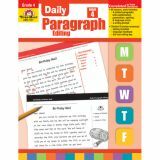 Can be used to support the instruction in a basal or core writing program. 176 pages. Strengthen foundational reading skills with a guided reading program tailored to help students at various reading levels. 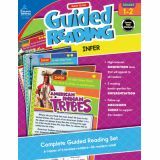 Guided Reading: Infer for first and second grades enhances your lesson plans with six sets of readers for below-level, on-level, and above-level reading skills. This resource book includes 36 readers and engages students with eye-catching photos as they learn about topics such as Native Americans, spiders, and hibernation. The readers are separated into three readability levels and designed to keep students' attention. Various call-out boxes direct students to apply guided reading strategies to the texts, such as scanning for meaning or word work. Each reader concludes with a writing prompt. Each nonfiction reader contains short nonfiction texts, vocabulary banks, photographs, charts, and maps. 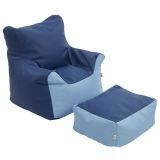 Kids love sitting back and putting their feet up on the ECR4Kids Bean Bag Chair and Ottoman Set! Perfect for reading or just relaxing, this comfortable seating option is ideal for classrooms, daycares and home environments. Features double-stitched seams for durability and two locking zippers to keep beads safely inside. 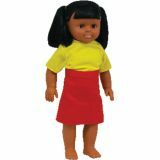 Covered with soft leather material that is cozy, kid-safe and environmentally friendly. Recommended for use by 2+. This beanbag has achieved GREENGUARD [GOLD] certification for meeting or exceeding standards for low emissions into indoor air during product usage. This office essential goes beyond the basics with scoring above the fold for 3/4" expansion and undercutting at tab for increased indexing area. Tabs in two positions. 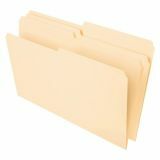 The ideal option for affordable, dependable everyday filing. 11 pt. Manila stock. Motivational bulletin board displays encourage students year-round. Keep student morale high with this motivational classroom décor! Add a visual component to small areas such as doors, learning centers, and windows with mini bulletin board sets. Make sure to view coordinating Celebrate Learning products to create a unique and unified classroom theme. Gain a sense of responsibility and knowing what it's like to have someone's fate in their hands. Our resource is great for quizzes, vocabulary and writing prompts. Predict what will happen between Tree-ear and Min, and whether Tree-ear will become a potter. Match characters to their actions in the story. Use words in a sentence to show its meaning. Describe how Tree-ear prepares the clay for Min, and how different the process would be today. Write the step-by-step instructions on Kang's new technique for making pottery. Compare Min and Kang's work in a Venn Diagram. Design a poster advertising Min's pottery. Find the cities from the novel on a setting map of Korea. Aligned to your State Standards, additional crossword, word search, comprehension quiz and answer key are also included. About the Novel: Set in 12th Century Korea, Tree-ear—an orphaned little boy—lives under a bridge with a disabled older friend and caretaker named Crane-man. Tree-ear is fascinated with a local potter named Min and dreams of creating his own ceramics. The trade of potter is unfortunately passed down from father to son, therefore Min can't teach Tree-ear the trade. The Royal Emissary tours the village in search for a new potter for the palace. Min and Kang—another pottery-maker—compete for the honor. The emissary chooses Kang but tells Min that if he can create more work and bring it to Puyo, he will reconsider his choice. Now, Min's fate rests in the hands of Tree-ear, who must deliver the pottery to the palace.